The internet has changed the way most of us live. Through internet related technological innovations such as the Internet of Things (IoT), big data and e-commerce, a lot of our day to day tasks have been made easier. Such innovations could also boost industries, making it easier for those who engage in certain types of business to carry out their tasks. The mushrooming of e-wallets in Asia – particularly Southeast Asia – could be useful for the tourism industry. E-wallets or digital wallets are an electronic device that allows an individual to make cashless electronic transactions. E-wallets are usually linked to your bank account, credit cards and some can even store cryptocurrencies. According to the World Tourism and Travel Council (WTTC), the tourism sector in the region directly contributed a whopping US$119.7 billion in 2016 alone and is projected to reach US$222.8 billion in 2027, which makes up 5.3% of total GDP for the whole region. With e-wallets, most of the hassles of travelling can be made easier. At the moment, one of the biggest hassles when it comes to travelling is the foreign exchange rate. Going to an ATM machine and finding a money exchange vendor takes a lot of time and effort. With the introduction of e-wallets, this process can become obsolete. In Southeast Asia right now, Chinese based e-wallets are making inroads here as they are looking to expand their market. The Nikkei Asian Review recently reported that Tencent (the group that owns WeChat Pay) and Alibaba’s Alipay are looking to expand their market to Southeast Asia. In addition to these companies, there are also a growing number of local based e-wallet companies. Malaysia, who is looking to reduce dependence on cash transactions by 37% within the next three years have just launched their first community-built e-wallet, Ta Pay. The growth of the e-wallets industry in the region is already bearing fruit in terms of tourism – especially in Thailand. Thailand is currently the leading destination for tourists from China in Southeast Asia. The Bangkok Post reported that 8 million Chinese tourists visited Thailand in 2015 spending 370 billion baht. These figures are expected to multiply each year. In the same report it was mentioned that more and more Thai merchants are integrating WeChat Pay and Alipay’s systems to cater to these tourists. WeChat currently has 8.06 billion active users worldwide and 300 million of them use WeChat Pay. If more and more merchants in the region started integrating WeChat Pay and Alipay, they could quickly start cashing in on the boom of Chinese tourists visiting the region. 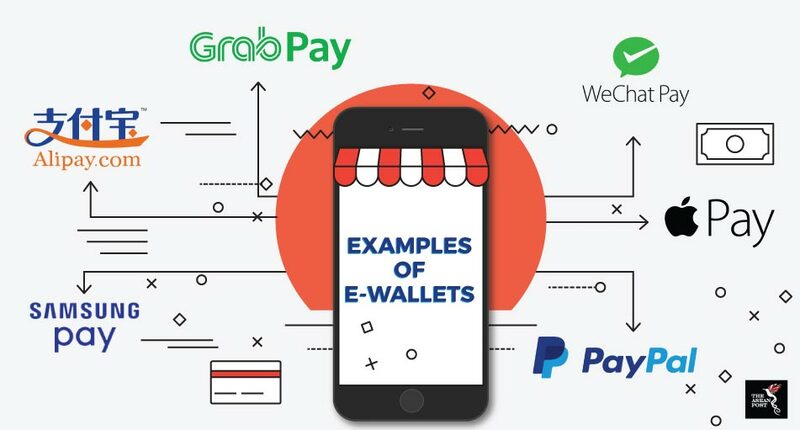 One way how businesses and local governments can improve the tourist experience in Southeast Asia using e-wallets is by integrating them into local transport systems. At the moment, most public transportation systems in Southeast Asia has their own payment systems which includes bus passes, train cards and regular tickets. If e-wallets were integrated into these systems this would make it easier for tourists on a day trip or short visit as they wouldn’t need to purchase weekly passes or such. Also, since many western tourists who come to the region tend to visit several ASEAN countries at once, the integration of such systems would create a seamless system for them. However, a new problem arises with the mushrooming of different e-wallets. Tourists would have to install a bunch of different apps depending which e-wallet is the most popular in a particular country or city. Also, merchants can’t be expected to serve all the different types of e-wallets. This could be bad news for smaller vendors and local e-wallets. Major brands such as Apple Pay, WeChat Pay and Alipay could monopolise the market while smaller e-wallet brands could struggle. Business owners need to be aware of the new trends emerging as a result of the growing e-wallet phenomenon. They need to adapt and learn fast to take advantage of e-wallets and ride the wave of a booming tourism industry. However, business owners need to also be aware of the many potential dangers that any new technology brings to the table. Security, piracy, scams and even privacy concerns could potentially harm their businesses.